ZIMBABWE – A Zimbabwean human rights activist has reportedly sent President Robert Mugabe an early “birthday gift”, among them a video telling the nonagenarian his “time is up”. The activist wanted Mugabe taken to the International Criminal Court (ICC) to answer to charges of crimes against humanity and human rights atrocities. 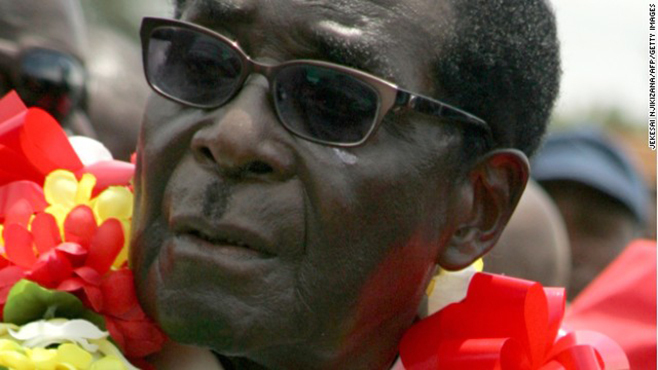 Mugabe would turn 92 on February 21. Birthday celebrations were set to take place in the drought stricken south-eastern Masvingo province on February 28. The director of the Zimbabwe Organisation for Youth in Politics (ZOYP) Nkosilathi Emmanuel Moyo, 28, who sent the “gift” to Mugabe’s Munhumutapa Office in Harare, accused Mugabe of crimes against humanity. “Ever since president Mugabe got into power in 1980 to date, thousands of innocent civilians lost their lives because of his brutality, oppression and ruthless misrule. He must be brought to justice one day and answer for his crimes against humanity, ” Moyo was quoted as saying. Recently, Zimbabwe’s opposition parties urged Zimbabweans not to be coerced into donating towards President Mugabe’s birthday bash. The opposition argued it would be unfair for the ruling Zanu-PF party to expect donations from cash-strapped civil servants and ordinary Zimbabweans. Organisers of the nonagenarian’s birthday this year reportedly have to raise at least $800 000 for the celebration. Masvingo province was expected to raise at least $100 000. The organisers, the February 21 movement – a group established in 1986 to encourage Zimbabwean youths to emulate Mugabe’s “selfless character and leadership qualities” – have promised to make the celebrations the biggest yet.